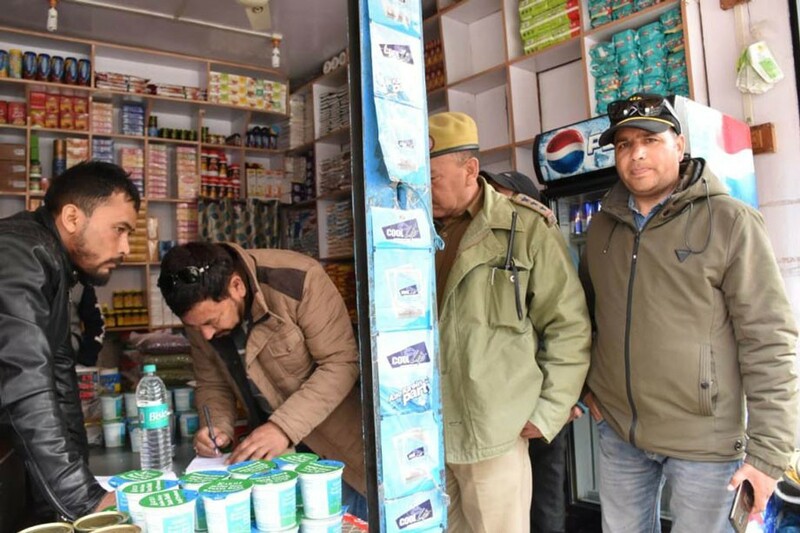 Around 120 shops, hotels, tea stalls, and other business establishment’s quality and prices of essential commodities were checked by a team of district administration, Kargil on April 8. A fine of ₹ 15,300 was recovered for violating the provisions of the Food Safety and Standards Act 2006 and Essential Commodities Act. The inspection team was led by Muhammad Hassan, Naib Tehsildar, Kargil comprised of the officers and officials from Police, Municipal Committee, Food Safety, and Food Civil Supplies & Consumers Affairs. Inspection of the hygienic conditions of food items available in the market, charging of rates and other set standards were carried out. The shopkeepers and traders were asked to display the rate list prominently at their establishments besides maintaining cleanliness. District Magistrate Kargil appealed all traders to avoid black marketing or hoarding and warned of stern action against the violators under rules. Specific directions have also been issued to the concerned officers to carry out frequent inspection and to conduct checking of the market so as to curb overcharging, black marketing, and use of polythene and sale of substandard food items.